Come join Ed Dailey E500-RYT, RNPA as he immerses you in a 2-hour class combining yoga & Young Living essential oils. 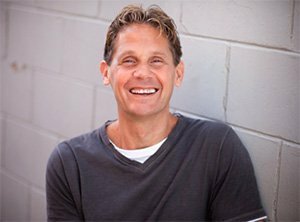 Ed is a Yoga Alliance Continuing Education Provider (YACEP) and has been a practitioner for over 14 years and a yoga teacher since year 2000. He has completed the Urban Zen Integrative Therapy program that was inspired by Donna Karan, Rodney Yee, and Colleen Yee and worked for 18 months at Beth Israel Medical Center in New York City on the oncology and surgical floors utilizing yoga therapy. Over the years, he has been using essential oils to enhance his yoga practice. THIS EVENT IS ORGANIZED BY YOUNG LIVING SINGAPORE, IN PARTNERSHIP WITH YOGA MALA.